This is no longer a hypothesis, it’s happening now. For example “The Ecrins glaciers will disappear, this is not a pessimistic scenario, it’s real, it’s under way at a rapid pace. 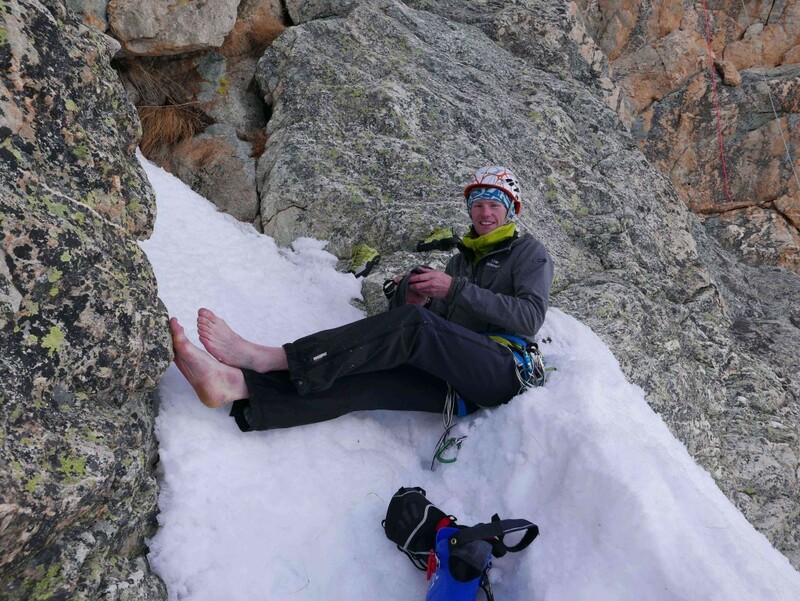 This question of the summer mountaineering future will see a final and sad answer in 10 or 15 years, “said Fredi Meignan, president of Mountain Wilderness France and keeper of the Promontoire hut at the foot of the Meije, in les Ecrins. With “Mountain Coordination” (an organization grouping many French mountain professionals structures), the association decided to seize the opportunity offered by the 21st United Nations Conference on Climate Change (COP21) to be held in Paris from November 30 to December 11, to raise public attention on the acuteness of the mountains issue as it is already a widely perceived one for the ocean waterfront lands. to be held in Grenoble on 11 November, was presented on November 4 at a press conference at the House of the Mountain in Grenoble. Participants will have the opportunity to listen to mountaineers testimonies on what they see up there above the treeline, how this may impact their practices and even their lives but also to engage in a journey to change the way the mountains role is perceived in the global string of things of Climate Change. In a press conference, “We have realized that the mountain as such was not on the COP21 political leaders plate, for us it was unthinkable,” says Niels Martin Director of Mountain Coordination. “We must testify about what is happening up there, we must learn how to adapt and be mobilized to try reducing our impact.” Some important issues need to find solutions. For example, how do we adapt our water supply with the disappearance of glaciers, “says Fredi Meignan. The city of Grenoble has joined the initiative. “The Alps are Sentinels of climate change, it can be seen in the field. You have to look at things up front with the knowledge that we have today, “said Mayor Eric Piolle. The flight forward of the big ski industry and his “blind sided” vision” which is also finger-pointed. “We must change the economic model,” says Pierre Mériaux, mountain Delegate for the city of Grenoble. The example of Chamrousse, a station which plans to build a ski-lift on a virgin top, “makes no sense at all levels” to Fredi Meignan. A ” Mountain Green Book,” which summarises findings and 21 proposals will be presented at the conference of November 11 in the presence of Mountain personalities, including British climber Chris Bonington. The “Green Book” will then be delivered as an official contribution to COP21. “We hope these policy proposals will be supported by a strong citizen movement through a ‘Call for Climate’ that we will launch, in the form of post cards to sign and send to the President of the Republic,” says Niels Martin. This is an ambitious approach though, whose first step will be that launch in Grenoble. Its aim is to put the mountains of France, the Alps and ultimately other mountains of the World on the COP21 table but not only… “Our initiative does not stop at the COP21, it must mark the beginning of a mobilization of all mountain actors” hopes Niels Martin. “Whatever the outcome of the COP21, this initiative should raise awareness among mountaineers,” says Fredi Meignan and transform it into actions. The International Conference and Mountain Climate will take place on November 11, afternoon, at the Canopy, Grenoble (former CRDP), 11 General Champon Avenue. The film “Climate Summit” will be screened the same evening at the Sports Palace as part of the 17th “Mountain Film Encounters”, this is when the “Call for the climate” will be launched by Liv Sansoz, Chris Bonington and Yann Borgnet. Mountain Wilderness (and many others) have often reported on what is happening to the glaciers and with the mountain permafrost. But now the mountain needs you.